ClinTex is a solution provider to the pharmaceutical industry providing predictive analytics and machine learning to new medicines development and the clinical trials process, with the ultimate mission of driving down the cost of bringing new medicine to market for the end consumer. 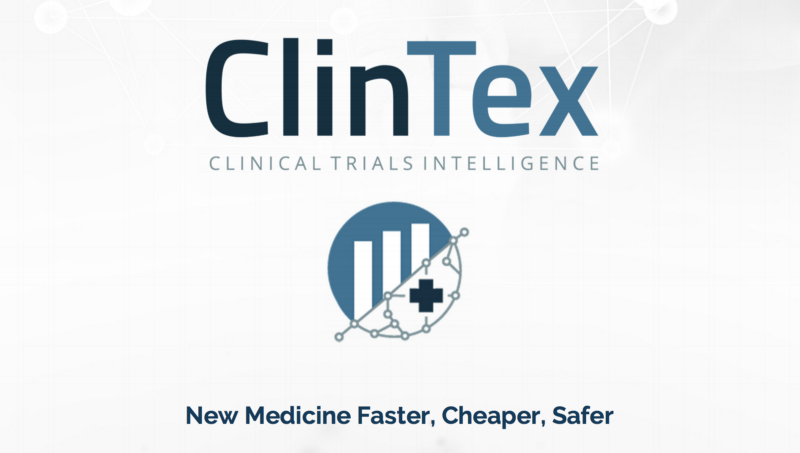 CTi — Clinical Trials Intelligence, is a new decentralized software solution that ClinTex will launch next year. CTi will lower the cost of new medicines and speed up their delivery to market for the people that need them by making the clinical trials process faster, more efficient and more cost effective for companies that engage in the R&D when a new medicine is being trialled for the market. ICO Alert: How does the CLX token function within the platform and why is it needed? What are the major dApps that users should look forward too? ClinTex: The CLX token will primarily be used for access to the CTi platform in a stake-per-licence model — the user will send their CLX to the CTi integrated wallet and their CLX tokens will then remain staked on the platform the duration of the licence (12 months). This is an integral part of creating an ecosystem for CTi — through the use of CLX it is envisioned CTi will form its own micro-economy, which will allow ClinTex to keep the cost of using the platform down. As ClinTex’s ultimate mission is to drive down the cost of medicine, we believe that the use by CTi of its own native token to repay the stakeholders and keep costs of R&D down for medicine development is a distinct advantage over a traditional model, where the stakeholders’ costs would be added to the R&D and ultimately drive up price for the end consumer of the medicine. ICO Alert: ICO Alert: What are some of the major problems in clinical trial management software right now and how is ClinTex planning to solve them? ClinTex: The sources of clinical data to support clinical trials are numerous and exist in silos across a pharmaceutical organization. Furthermore, as clinical data gets updated, existing data gets overwritten. These two features limit existing software to focusing on specific types of clinical data (a unidimensional approach) and to only work off of the latest copy of data, overlooking the history and evolution of that data. Therefore, unlike CTi, current systems are limited in their ability to unify data sources for a complete end to end picture of clinical trial performance, and, without a complete and immutable history of clinical data, cannot perform predictive analytics and machine learning. ICO Alert: What is your strategy for growing adoption in the medical trials field? What are some of your major partners in the industry? 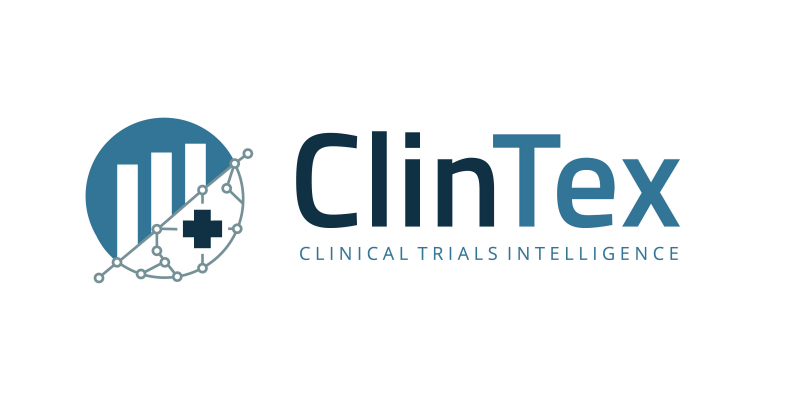 ClinTex: The CTi platform will be initially deployed in academic clinical trials in a research collaboration with our strategic partner, Intellimed. These initial deployments will establish the CTi concept in live clinical trial settings and help to further refine the predictive algorithms using new sources of data. After these clinical trial deployments, use in larger scale Phase III clinical trials will be achieved through a free-trial offering, funded using reserved tokens, for 2–3 large pharma organizations.The value delivered in these deployments will be used to solidify the CTi concept, and benefits realized will be a natural driver for future deployments. We see our main customer base as being large pharmaceutical companies running large clinical trials on new medicine e.g. GlaxoSmithkline, Pfizer, Novartis. We are confident that the powerful product offering and favorable licensing propositions offered by ClinTex will drive rapid and widespread uptake of the CTi platform in the industry. ICO Alert: Machine learning and data networks are growing at a fast pace in the medical field. How does ClinTex ensure that network data is accurate? What kind of auditing oversights are being implemented? ClinTex: All the data that CTi uses will be hashed and stored on CTi’s private consortium blockchain. This will ensure the clinical data and metrics remain immutable, creating a verifiable history. When data is used in analytics off-chain, the hash is consistently verified with the data on-chain, to ensure CTi is working with accurate clinical data records and metrics at all times. ICO Alert: Privacy and security is a high priority when it comes to medical records. What kind of security measures are you taking to ensure that private information won’t be exposed? ClinTex: The focus of the CTi platform is on the generation of powerful performance metrics and analytics from all available clinical data sources. In terms of patient data protection, all data stored and derived on the CTi platform will not contain any patient identifier information, and be fully compliant with all clinical trial and data protection regulation. Furthermore, pharmaceutical companies collaborating on the CTi platform will only be able to share high level metrics data on their clinical trial performance, rather than detailed clinical data, thus protecting commercial sensitivities. ICO Alert: Pharmaceutical and clinical trial regulations are quite extensive. How does ClinTex plan to be regulated and stay compliant in this field? ClinTex: Prior to deployment in any clinical trial setting, the ClinTex CTi platform will be developed to ensure FDA 21 CFR Part 11 compliance. The elements of this compliance include audit trails and electronic signatures and will be maintained via internal and external audits, system validations and maintenance of documentation for the platform. ICO Alert: What kind of experience does your core team have that will help ClinTex achieve its goals? ClinTex: The ClinTex team combines top talent and leading thinkers from the pharmaceutical and clinical trial industry, with extensive experience from software, blockchain and data analytics expertise. Our pharmaceutical and clinical expertise will ensure that we develop a platform that is focussed on the exact needs of clinical trial sponsors. The seniority of our expertise in this area also provides ClinTex with valuable links to the industry for initial and free trial deployments. ICO Alert: What is ClinTex’s primary geographic target? What are your plans for expanding to other regions? ClinTex: Once we reach CTi’s mainnet launch, ClinTex will focus on on-boarding big pharma organizations primarily targeting UK clinical trial sponsors conducting local and global trials. The UK regulatory environment is an established and credible background in which to initially establish and refine the CTi proposition, after which CTi application will meet the requirements of global regulators to help achieve our vision that the platform will become an essential part of every clinical trial in the world. ICO Alert: As a non-ClinTex question, we like to ask for unique predictions for the ICO and cryptocurrency space in the future. Where do you see both in the next 3–5 years? ClinTex: While we are seeing the inevitable cull in the ICO space the moment, separating the good projects from the not-so-good after the ICO-mania of the past, we believe this is a good thing and highly necessary for the health of the space long term. I believe the regulations that are coming in in many jurisdictions will help too (ClinTex CTi’s ICO will be run in Malta, being fully compliant with the Virtual Financial Assets Act, 2018) and next year the ICO space will be totally transformed from what we saw in 2017, with good, honest and reliable projects working with regulators to ensure a safe and secure environment for both ICO projects and participants. This should be reflective of cryptocurrency in general — the groundbreaking technology has not changed, nor have the fundamentals, and once we are over the initial shockwave, a regulated environment should nurture an extremely healthy investment market once again. The ICO will run for four weeks towards the end of Q3 2018. CLX tokens will be generated using the ERC20 protocol in an Ethereum smart contract. The total maximum contribution amount is set at $19,000,000 with individual maximum contribution amounts to be announced. Current accepted cryptocurrencies for ClinTex include Ethereum, Bitcoin and Binance Coin. Fiat currency will also be accepted — EUR, GBP, USD, CHF, RMB & KRW, payable by Visa or Mastercard. ClinTex is an ERC20 token, so it’s important that contributors use ERC20 compatible wallets to send funds to the ICO smart contract, and to receive the CLX tokens. Contributors will have their tokens distributed 72 hours after the end of ICO. Visit the ClinTex website for more information and the contribution address. U.S. citizens are prohibited from participating in this ICO. The CTi TGE KYC/AML verification will be undertaken by Sum & Substance. Sum & Substance are a pioneer in the Trusted Digital Identity space that specialize in identity proofing, risk-based authentication, regulatory identification, and the detection and prevention of the use of stolen identities, ensuring a robust and comprehensive risk and compliance solution. View the ClinTex website here.